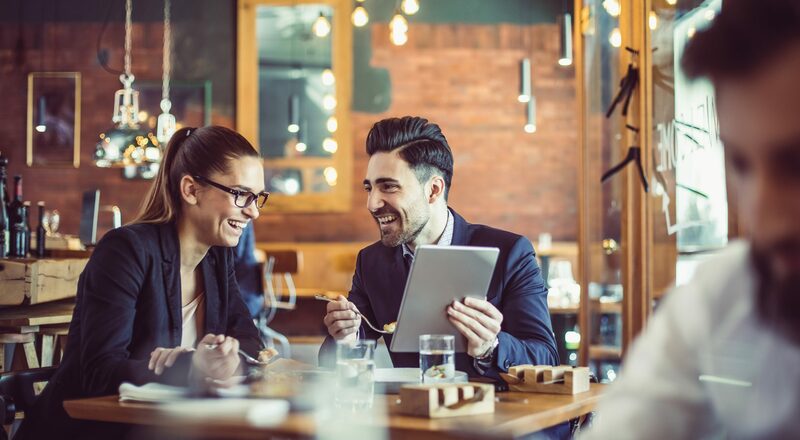 If you’ve been following this series of articles to help you start and run a successful restaurant, you might have noticed a recurring theme: people. Sure, your food might be spot on. Your location ideal. Your venue perfect. But what brings you income are your customers. People. And who runs your operations? People. Your investors? People. It’s the quality of the interaction between all of these parties that will determine whether your star will rise or whether you’ll be struggling to grow your hospitality business. As a leader, much of your time will be spent giving feedback, sharing your vision, giving some direction etc. But remember that communication can only work when both channels are open. People need to know that you are open to listening carefully to your team; which means being approachable for constructive feedback as well as praise! It will help improve vital rapport. If someone always asks how you’re doing in an email or a phone call, chances are they would appreciate it if you followed suit rather than jumping straight in. Others actually prefer to get straight to the point. Some (those who are naturally more analytical or introverted) prefer time to mull things over before giving their opinion or decision. Send them the facts and ask them to get back to you rather than putting them on the spot, if you can. Whatever people’s preference, make it a rule not to WhatsApp, text or call members of your team if it’s late. Even if you work 20 hours a day they might not. People need to be able to switch off properly. It only takes a few seconds for them to reply but switching back out of work mode will take longer. If you disrespect this, people may become drained and therefore less effective, maybe even resent their role. Besides, the chances are highly likely that it can wait until tomorrow when you see them. Make time to spend with your team face-to-face, it’s the most effective. > Speak to people! Its easy to send disgruntled written communications, hiding behind your email and cc’ing the directors for added effect. But the reality is that these are conversations that need to be done face-to-face. Even if you find it uncomfortable. You’ll gain more respect if you do so. And ask yourself if you really need to involve the directors at this stage. People will more often than not appreciate your backbone by choosing this more open approach and will reward you by listening and adopting the feedback. > Stay away from Whatsapp for important topics or formal conversations. It’s actually best to avoid it completely. > Ensure the communications you send are concise and non-ambiguous. You’ll avoid misunderstandings resulting from incorrect assumptions and will save time not having to reply to people who ask for clarification. > Never send a communication when you’re angry! Go back to it when you’ve calmed down. You’ll probably need to edit it, or even just delete it. > Is this meeting even necessary? Many successful companies, like designer eye wear brand Warby Parker, have a policy for only holding decision-making meetings rather than meetings for communicating updates. > Can you ‘bundle’ meetings together into a monthly ‘Ops meeting’, for example, to increase productivity and reduce time away from day-to-day action? > In your invitation, include the format of the content. Set expectations for whether the meeting is for decision making, informing or discussing. > Ask the attendees to prepare for the meeting in advance. > Send any pre-reads for attendees (this saves time and increased productivity in the meeting for those who need to reflect on a topic). > Invite the right attendees – consider the value of each person before inviting them to attend. Don’t invite people who really don’t need to be there. It will waste their time and yours. > Have a ‘format’ for the meeting – to allow conversation to flow freely, but in the right areas. Know when to draw the line and to stay on format. Formats differ to agendas because they include topics, but do not pre-determine the content. Any content that needs to be raised can be done so by individuals that have prepared in advance. > Ban devices from the meeting. This ensures that people are focused on the task in hand. Keep them present. Premium baby food brand Plum Organics hand out colouring-in books at their meetings. Yes…to the grown-ups! According to Innovation Director Jen Brush, colouring during a meeting helps to promote active listening, and is more beneficial than multitasking on something like email. > For more in-depth meetings begin with informal coffees and catchups (10-20 mins). This is crucial to relax the environment and to encourage relationship building amongst the team. > Use emotional intelligence – be conscious of the focus and energy in the room. Detect when the meeting may need to be refreshed or if people need a break. Be quick to step in if the conversation is going round in circles. > Record meeting minutes and publish QUICKLY (within 36 hours, ideally). Minutes should include: What? Who? When? Plus details about the agreed tasks and your conversations. We've put together a few common traits that all the successful businesses we work with have in common. Read how Friska have leveraged what EPOSability is able to offer to accelerate their growth. Choosing the wrong tech creates an operational headache at best. At worst, it can ruin your bottom line. Here's how to avoid it - without being a tech expert. Discover the ONE thing you need to do to get people to buy from you, return and also recommend you.